No supplements. No fad diets. Exercise and healthy eating habits helped Chuck drop 17 pounds. Post-holidays always draws some new members to boot camp. This past Thanksgiving drew Chuck. 5:00am is always a little fuzzy. No one is quite awake. It is dark. I didn't know this 'new-bie' was Chuck at first. I actually thought it was Jim Furyk. THE Jim Furyk. Chuck bears a striking resemblance to the world renowned golfer. Once we got past the fact that I didn't need to get his autograph we carried on. The holidays left Chuck carrying a few extra L-B's than he liked. Like so many of us tend to find. The typical 'gym exercises' were his previous repertoire. Running, exercise machines, weights. However, the routine was not consistent. Chuck felt he needed a change and after hearing our boot camp barrel past his house of few times he decided to hop on board. Chuck didn't just lose weight because he joined boot camp. Exercise is only one leg of the chair. Chuck incorporated healthy habits throughout his life. To keep the chair stable you need more than one leg. Here is how Chuck lost 17 pounds. Focus. "I joined boot camp to lose weight." The first day I met Chuck I knew his mission. He had a purpose. Lose weight. He showed up 3 days a week, every week, to work out and lose weight. Chuck always worked out with a purpose. When he was sweaty and exhausted you could see in his face and his actions that we wasn't going to stop. Laser like focus drove Chuck to accomplish his goals. Consistency- 3 days a week, every week. Rain or shine. On site at the Y or on location, Chuck was there. Consistency is key when traveling the path to a healthy life. Your body feeds on consistency. Going to sleep at the same time. Waking up at the same time. Exercising regularly. Eating a healthy and consistent amount of food day in and day out allow your body to adapt to your lifestyle and allow you to thrive. Swapportunist- Change out an unhealthy food for a healthier option. For Chuck this was burgers for salads. Or...pizza for salad. Lunch time was his swap time. The exercise and healthier food choices at lunch led to Chuck shedding 17 pounds. Lifestyle Lift- I am not talking about the infomercial kind. I am talking about changing habits in your life that increase or decrease your health. Replace those that decrease with activities that increase your health. Chuck and his daughter Greta would jog, exercise, and walk their way to Starbuck's on the weekend. Daddy-daughter time for sure, which is equally as important, but also an excellent way to promote fitness in his life as well as his daughter's life. My friend Chuck recently moved to London. We will miss you at boot camp. We all hope London is a blast. Keep up the fantastic work. Hope to see you, preferably in London, sooner than later. 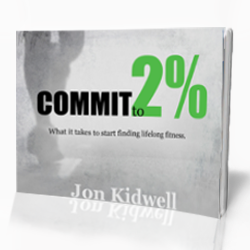 How has Focus, Consistency, Swappotunity, or Lifestyle Lift changed your life? Glad you sharedmy story as I was quite proud of the accomplishment. London is treating us well and Greta and I took our first run last weekend ending at a pub that turns into more of a coffee house on Sunday mornings. I am so glad that you and Great are able to continue your tradition in London. How cool! I can't wait to hear more of the amazing things that you do. Have fun.